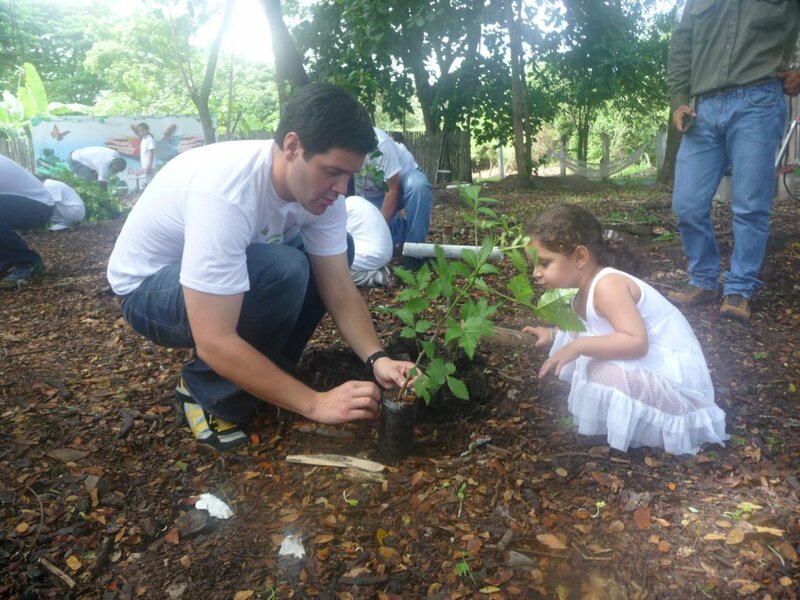 As part of the Pro-Forest Foundation’s outreach program in the communities within the Cerro Blanco Protected Forest buffer zone, we organized a tree planting program with TC Television on Saturday, April 16th. The event commemorated the celebration of Earth Day and was carried out at the Marianita Rodas Elementary School in the village of Puerto Hondo, with the participation of over 40 students from the seventh grade. The tree planting was carried out as part of the social responsibility program of TC Television. 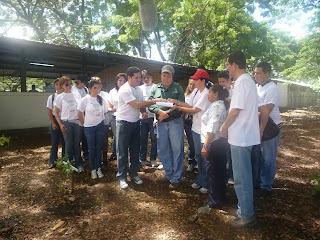 Previously, I participated in a special program on water, my comments focusing on the relationship between the protection of forests and water (please see this link http://www.tctelevision.com/programa.php?id=68). For the Earth Day celebration, TC Television brought twenty celebrities from their different programs to Puerto Hondo. With the slogan “Lets take care of the world that will be for our children” each celebrity joined up with two children from the school to plant their tree. Each tree was marked with a bamboo stick with the name of the celebrity and the kids painted on them. At the end of the tree planting, a agreement was signed with the Director of the Marianita Rodas Elementary School and myself in representation of the Pro-Forest Foundation, in which the school agrees to take care of the planted trees. As I explained in my opening remarks, this tree planting represents a symbolic act of recognizing the interconnection that exists between the dry tropical forest that is protected in Cerro Blanco, and the nearby mangroves. Our contribution to this important initiative by TC Television was the donation of fifty native dry forest trees (and a couple of lemon trees) as well as the labor and technical assistance to prepare the planting site. 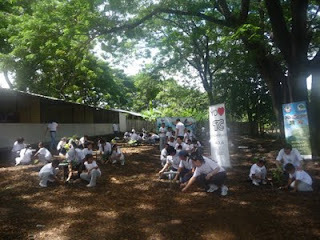 The rest is up to the children of the Marianita Rodas School. In a country that suffers one of the highest deforestation rates in the region, we hope that this initiative will be expanded to other interested schools and organizations in the coastal region as well as the rest of the country.